Collage of protein crystals and viruses grown in space (Credits: NASA). A researcher at NASA’s Johnson Space Center tells us that only about 200 proteins have been studied in space. It is estimated that the human body contains more than 2,000,000 proteins.These proteins are encoded by fewer than 25,000 genes. While the Human Genome Project was a major undertaking, the Human Proteome Project (which is just now getting underway) will be far larger. Cynics say that microgravity experiments with protein crystallization and pharmaceutical research have been a disappointment. The truth is we have barely scratched the surface of proteomic research. Progress will accelerate in the future, as new launch systems come online and the cost of space access goes down. We expect that both professional researchers and citizen scientists will play a role in this research. Nevertheless, despite the limited number of experiments that have been done and proteins that have been studied, some significant and commercially important discoveries have been made. Research sponsored by Schering-Plough Corporation aboard the International Space Station led to the development of a new form of interferon for treatment of Hepatitis C, a disease that affects 150,000,000 people worldwide and kills 350,000 people each year. This improved form of interferon, which is more effective at treating Hepatitis C and has fewer side effects, is now one of Schering-Plough’s top-selling products. Kennedy Space Center, FL (March 13, 2013) – The Center for the Advancement of Science in Space (CASIS), the nonprofit organization promoting and managing research on board the International Space Station (ISS) U.S. National Laboratory, today announced additional research grant awards totaling approximately $600,000 for two projects advancing protein crystallization in microgravity. In November 2012, CASIS announced grant awards totaling $1.2 million for three projects advancing protein crystallization in microgravity. The winning experiments were chosen from 16 submissions in response to CASIS’ first solicitation in June. 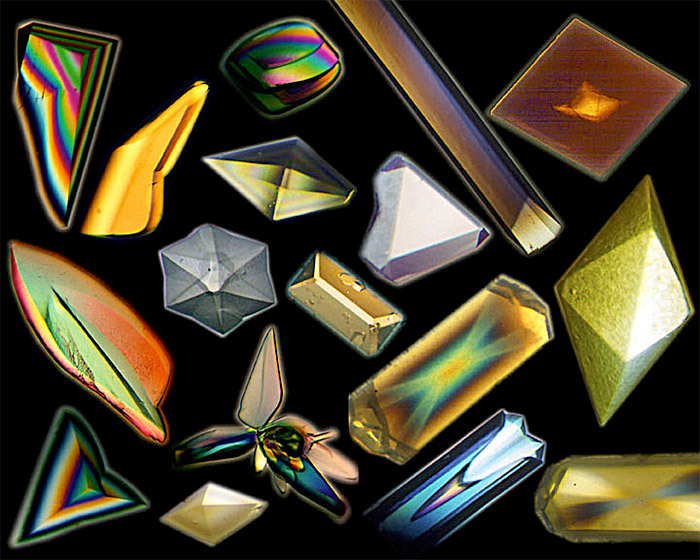 Crystallography is the technique used to determine three-dimensional structures of protein molecules. 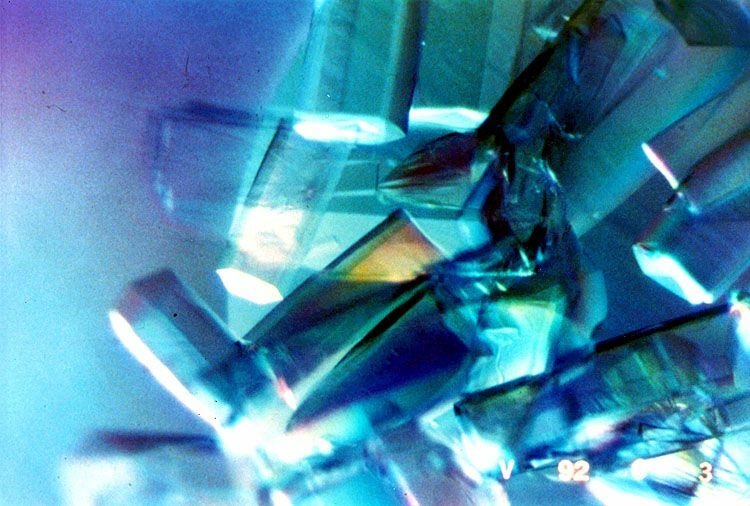 Proteins, when performed in space, may produce larger, better-organized crystals, allowing more focused drug development. The Request for Proposals (RFP) was issued after a panel of life science experts reviewed 136 experiments flown in space over the last decade and identified protein crystallization as one of the most promising areas of microgravity research. Protein crystals grown in microgravity – like these of HIV reverse transcriptase – help scientists understand how diseases work (Credits: NASA). • Edward Snell, Ph.D., from the Hauptman-Woodward Medical Research Institute at SUNY Buffalo, who will focus on four eukaryotic proteins associated with human disease that crystallize on Earth but remain structurally uncharacterized. Larger, better-organized crystals could have a significant impact on drug targeting for Parkinson’s disease, bovine spongiform encephalopathy, ethylmalonic aciduria, and cutaneous squamous cell carcinoma. • Sergey Korolev, Ph.D., from the Saint Louis University School of Medicine, will utilize microgravity to improve crystals of two medically important proteins with unknown structures that could support drugs tied to cardiovascular disease, diabetes, muscular dystrophy, Parkinson’s disease and anticoagulant therapy. • Dr. Stephen Aller, from the University of Alabama-Birmingham, who will seek to crystallize human membrane proteins that could accelerate the commercialization of next generation drugs to treat AIDS-related dementia, high cholesterol, atherosclerosis, cystic fibrosis and multi-drug resistance as it relates to cancer. • Dr. Pamela Bjorkman, from the California Institute of Technology, who will focus crystallization research on Huntington’s disease. • Dr. Joseph Ng, from iXpressGenes Inc., who proposes to grow large protein crystals for neutron diffraction studies. This study could show that microgravity is the only avenue to obtain appropriately sized crystals for neutron diffraction studies and could result in a highly profitable service model for the ISS. Final award of the grant money is contingent upon acceptance of legal terms and conditions between recipients and CASIS. CASIS is also in the process of addressing other applicants that received high scores in the evaluation process, to discuss future opportunities to fund and fly their research to Station. For additional information about CASIS opportunities, including instructions on submitting a proposal, continue to check the CASIS solicitations site at www.iss-casis.org/solicitations. – By Edward Wright. This article has been republished courtesy of MoonandBack.